Do and your family like classic cars? Motorcycles? Trains? This is one event that you don't want to miss! 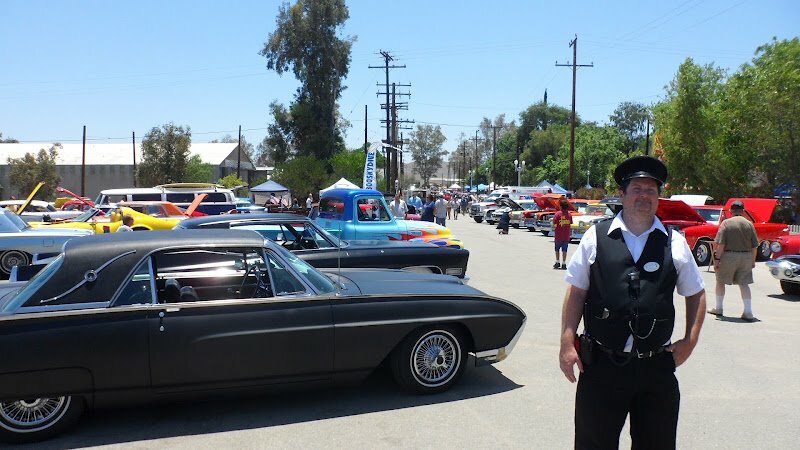 The 14th Annual Rods & Rails Show and Potato Festival promises to be a huge hit for lovers of classic cars, trains and Perris history who drop by the Orange Empire Railway Museum on Saturday, June 8 from 9 a.m. to 5 p.m. The annual festival, which is free to the public, is expected to draw more than 5,000 people. The event, sponsored by the City of Perris, features pre-1980 muscle cars, hot rods, classics, street machines, pony cars, lowriders, pre and post war trucks and all makes and models of motorcycles. Visitors will enjoy live rhythm and blues music, great food and performances by the Wild West Temecula Gun Fighters. There will be lots of fun for children including the Franklin Hayes Marionettes, a young talent showcase and youth bicycle show. The day also includes the Potato Festival, which is a tribute to the Perris Valley's agricultural roots. The Orange Empire Railway Museum features one of the largest collections of rolling rail cars in the U.S. Visitors can enjoy trolley and cable car exhibits and rides. Admission to ride is $12 for ages 12 and up and $8 for ages 5 to 11. For information about the car show, call the City of Perris at 951-943-6603. DISCLAIMER: This is not a sponsored post. I received no compensation. All thoughts are my own. Do not use any pictures without compensation.